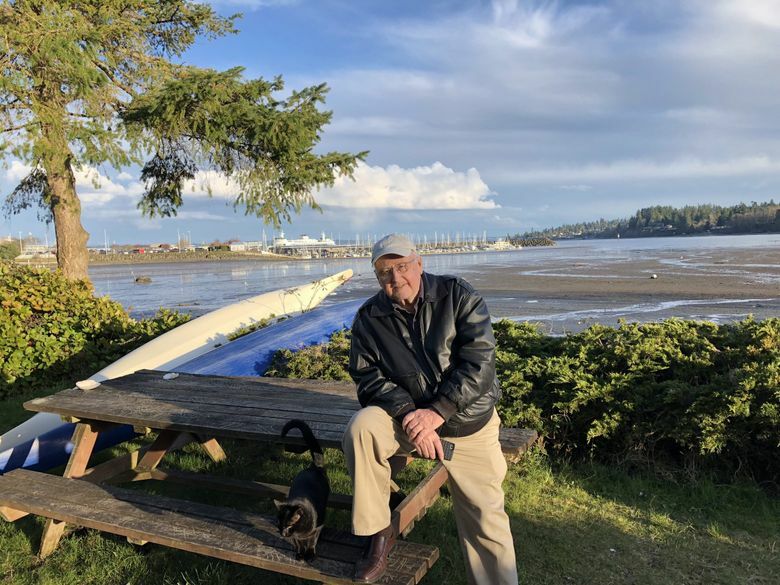 Edmonds native chaplain Ken Gaydos, died on Sept. 3 at the age of 79. A public viewing is scheduled for Thursday and Friday. A memorial service is planned for Saturday. Ken Gaydos isn’t yet 30, when his daughter is born dead. He dedicates the rest of his life to ease the suffering of others. Years later, the Edmonds native is a chaplain working with survivors and first responders in the aftermath of the federal building bombing in Oklahoma City. A few years after that, he’s on-site in Columbine High School. And a couple of years after that, he’s amid the rubble, mangled metal and body parts still being pulled out of Ground Zero in New York City. Mr. Gaydos died on Sept. 3 at the age of 79. Last year, he organized the service for Dayvid Pakko, a 6-year-old boy who was murdered in Lynnwood. Mr. Gaydos brought in local fire departments and arranged for Pakko to be inducted as an honorary fireman in south Snohomish County, all to surprise Pakko’s mother, Kori Henckel. Mark Gaydos said it was a common occurrence for his father to become heavily invested in the lives of others throughout his life. Ken Gaydos transformed chaplaincy into a vital and effective role in emergency response, according to Edmonds police Sgt. Shane Hawley. He started the nation’s first Support 7 program, a nonprofit that began in a renovated fire medic unit purchased for $1,200 and donated by the Edmonds Kiwanis Club. His goal was to create a private, sheltered and safe space for victims and first responders. The idea came to him after responding to a drowning at Bracketts Landing Beach in Edmonds in 1985. The nonprofit continues to assist southwest Snohomish County, providing counseling services while emergency responders work, and shelter during inclement weather. Mr. Gaydos would introduce the idea to other emergency departments while traveling around the world training and mentoring young chaplains, according to Russ Guppy, a chaplain who knew him for over 30 years. Mr. Gaydos’ personal tragedy came in 1967, when his daughter, Karen, was stillborn. In 1968, he witnessed the assassination of Robert Kennedy while covering one of his speeches as a radio and television reporter. His son, Tim Gaydos, said these two moments were key in raising his father’s interest in chaplaincy. Mr. Gaydos is survived by his sons, Tim and Mark, daughters, Kristin and Denise, wife, Lois, and 17 grandchildren. In lieu of flowers Mr. Gaydos’ family is requesting donations be made to the J. Kenneth Gaydos Irrevocable Trust. A public viewing is scheduled from 3-7 p.m. Thursday and Friday at Beck’s Tribute Center in Edmonds. A memorial service is planned for Saturday at 2 p.m. at Alderwood Community Church in Lynnwood. The Gaydos family has organized a Facebook page to collect stories and memories from the community. An earlier version of this story incorrectly stated the year of Robert Kennedy’s assassination.